The ailing eurozone economy will shrink further in 2013, making it harder still for governments to reduce borrowing and promising more misery for millions of unemployed. The European Commission said Friday it expected combined gross domestic product across the 17 members of the eurozone to contract by 0.3% this year, a sharp revision to its forecast last fall for growth of 0.1%. The region's economy shrank for a third consecutive quarter in the last three months of 2012, leaving it 0.6% smaller than at the start of the year, and business activity surveys published this week suggest the recession will last at least through March. Many eurozone states have implemented austerity programs in order to curb borrowing but they are depressing domestic demand as households and businesses defer spending and investment. "The ongoing rebalancing of the European economy is continuing to weigh on growth in the short term," Olli Rehn, European Commissioner for Economic and Monetary Affairs, said in a statement. "We must stay the course of reform and avoid any loss of momentum, which could undermine the turnaround in confidence that is underway, delaying the needed upswing in growth and job creation." The second recession in the eurozone since 2009 had its roots in the sovereign debt crisis that forced Ireland, Portugal and Greece to accept international bailouts and brought Spain and Italy close to doing the same. A pledge by the European Central Bank in mid 2012 to backstop weaker states, and efforts by governments to cut spending and raise taxes, calmed financial markets, but the slump in activity in southern Europe has begun to depress demand across the wider region. France, the second-largest eurozone economy after Germany, is now forecast to see virtually no growth for a second year running in 2013. Forecasts for the Netherlands have also been slashed -- its economy is expected to contract by 0.6% this year - while the Italian economy is expected to contract at twice the pace previously forecast. 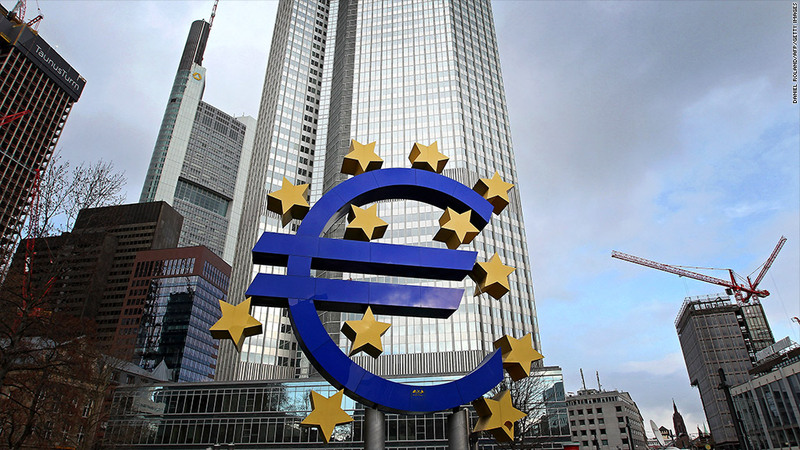 The European Commission said it expected activity to accelerate gradually during the course of the year, driven by external demand, with domestic demand forecast to take over as the main engine of recovery in 2014. Unemployment will hit new record highs this year, with nearly one in eight eurozone workers forecast to be without a job, it said.